1) Heart rate variability biofeedback for stress reduction, using the terms "physiologic coherence and psychophysiologic coherence". This leading from "Individual Coherence," to "Social Coherence," and eventually to 2) below. 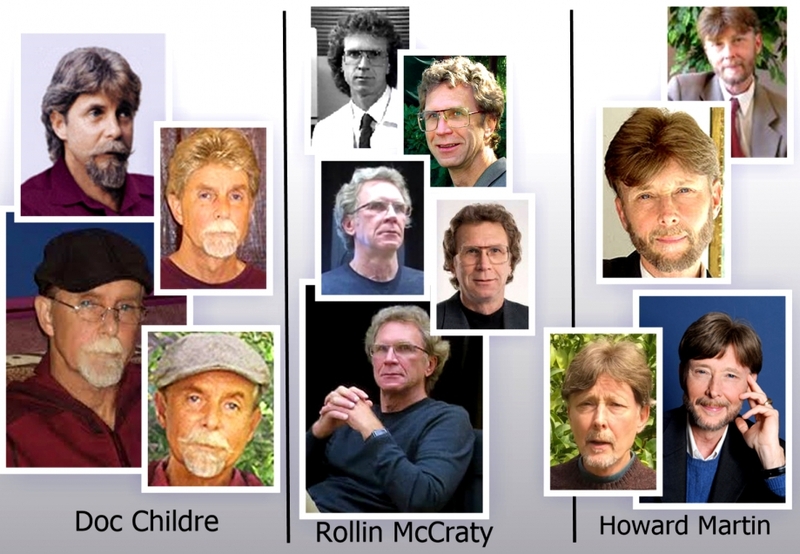 Principal Investigators : Lew "Doc" Childre; Rollin McCraty, Ph.D, Howard Martin, et al. "Doc Childre is not a medical doctor, the first name was given to him by his father after his birth." "After serving in the National Guard, he started a recording studio. In his early twenties, he developed some health problems that caused him to look for alternative treatments and that is when he began researching stress. He also did a lot of reading and meditating, and came to realize that ultimately the answers he was looking for were in his own heart. He then began to research "heart intelligence," and wrote about. In 1991, he set up the Institute of HeartMath as a non-profit research and education organization to promote his ideas." "He worked at Motorola as a communications or field engineer. Then he started his own company in the field of electrostatics. Then he joined "Doc" Lew Childre at HearthMath." "Dr. McCraty's path to IHM was hardly a straight line, but along the way he added several impressive achievements to his resume. After receiving advanced training in electrical systems engineering, he worked as a field engineer at Motorola. In 1989 he formed his own electrostatics company (studying the science of stationary electric charges), which he took from a start-up in a garage to a multimillion-dollar company within three years. A key part of this success story was his development of a new technology that revolutionized electrostatic problem solving. It's still used by most technology companies today." "In a dramatic change of focus, Dr. McCraty then devoted his energies to a company that introduced the health benefits of spirulina to the Western world. After a front-page news story on spirulina appeared in the early 1980s, sales took off and he had a $20 million business. Dr. McCraty's goal was to make spirulina a global food source to help feed the masses in countries with endemic malnutrition. He even built a demonstration showing how it could be grown in the middle of a desert, but politics kept getting in the way. "It popped my idealism bubble," he recalls about this frustrating time. "I came to the deep understanding that the major problems facing our planet were going to require a huge shift in human consciousness." "As his own consciousness was shifting, a fortuitous meeting opened the door to Dr. McCraty's future of scientific breakthroughs. At a party he met Doc Childre, who had founded HeartMath in 1991, and there was an instant connection between the two. "Here's something where I can actually affect people's lives, help lift consciousness, and really make a difference," he remembers thinking after first hearing about HeartMath." Howard Martin is presented here by HeartMath, one of their several Executive Vice Presidents, without any information about his background or formal training in Mind, Body or Spirit domains. Mr. Martin gives "75 interviews or presentations per year" covering the physiologic and psychological basis of HeartMath's approach to stress and "coherence," and their branching out into Global Consciousness (see below). Domain : Stress reduction ; Biofeedback ("physiologic and phychophysiologic coherence"); "Personal/ Social/ Global Coherence." 1) Heart rate variability measurements can be used over time by an individual, to become more aware of autonomic nervous system corrollaries of stress, and shift from higher to lower states of stress through biofeedback. Effects of biofeedback at this Lab Bench are referred to as "coherence," "heart coherence," "heart-brain-coherence," "physiologic coherence," and "psychophysiologic coherence." 2) "Our hypothesis is that as enough individuals increase their heart coherence, it leads to increased social coherence. As a critical mass of cultures and nations become more harmoniously aligned, this can eventually lead to increased global coherence and sustainable peace." "Using our heart's intuitive guidance will become common sense - based on practical intelligence." "As more of humanity practices heart-based living, It will qualify the 'rite of passage' into the next level of consciousness." - Doc Childre. The earth's magnetic fields are carriers of biologically relevant information that connect all living systems. Thus, we each affect the global information field. Large numbers of people creating heart-centered states of care, love, and compassion will generate a more coherent field environment that can benefit others and help offset the current planetary-wide discord and incoherence." 2) After mastering this skill of biofeedback, using their techniques and equipment, a study group of (estimated or targetted) "350,000 participants," will focus on "problem areas" in the world. An ever-increasing number of magnetometers will be distributed around the globe (see R.M. 's presentation below), to measure the effect of such practice on the earth's geomagnetic field, registering effects of negative socio-political occurences, and the positive effects on the earth's field due to this combined practice of heart coherence. 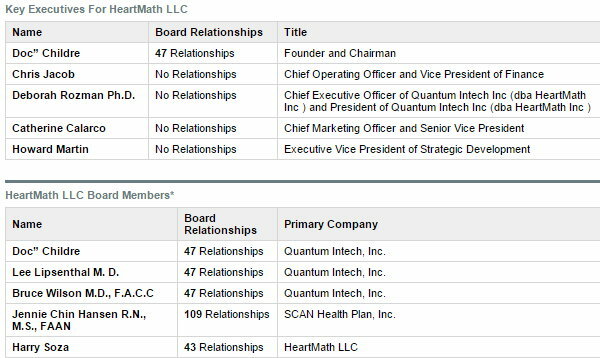 Status : Sale of technology/ devices, supportive literature, and Advanced Classes in their "techniques" (not cheap) has been for years ongoing through the For Profit side of HeartMath (Quantum Intech, Inc. is the parent company of HeartMath LLC, and here is their Annual Report for 2013). Currently, on the Not For Profit side, Rollin McCraty and others are workng to expand their network of magnetometers, while HeartMath seeks donors to finance each installation. Here is an interview by Martin Wasserman with one such donor, Claudia Welss, Dec 8 2008, in which Ms. Welss also explains the autonomic nervous system's function and negative effects of stress, as well as plans for Global Coherence to the interviewer. Her background and degrees are in Business, and she has moved into Noetic Sciences out of personal interest, is Founder of the NextNow Collaboratory, and is listed as working on a PhD at Wisdom School of Graduate Studies at Ubiquity Univeristy, a non-accredited institution. "Her commitment is to the cultivation and integration of inner and outer technologies for co-creating a world that works for all." Certainly a laudable committment. She is listed as a donor for two, at present, of the magnetometer sites. Mainstream vs. Frontier vs. 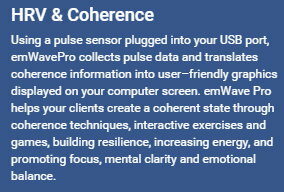 Fringe level : The use of devices such as the "Inner Balance Trainer" or emWave2 as another example, paired with sofware for displaying results graphically, seem a pretty standard application of Heart Rate Variability measurements. Other iOS apps are doing this as well (I think of Elite HRV, as one example). The software works well to display results, without being overly sophisticated for users. Higher priced versions of the software provide spectral frequency analysis which would be interesting for all users as well. But it can serve to feedback to the user, how well intentional "focusing on positive emotions like appreciation," succeeds in obtaining the "coherence" state as they define it. So to this point, fairly Mainstream would seem fair if their devices undergo a reconciliation with actual and not "look of" science. Clarity is frequently anything but clear. Moving from there towards Global Coherence as they are now carrying out, will be defended by R. McCraty and others affiliated with HeartMath as Frontier. Many observers would jump unhesitatingly to Fringe level. One can decide for oneself, from viewing the final video on this page. If Dr. McCraty were willing to answer questions about data, or present data, one could more willingly move towards an assessment of "Frontier," but more on this below. In many components of the presentation, one can only wonder if huge volumes of results are accruing, along with their HeartMath-hypotheses favoring interpretations of those results, yet seemingly, not always but often in the absence of data and convincing analysis. This impression may in fact result from an as yet still incomplete review of their literature, but some preliminary results from investigation of how their devices present data, seems already revealing. As Dr. McCraty says in his presentation : ""If you're going to do research around this stuff, you've got to measure things." Seeing a few of those "things" measured, tabulated, and analyzed with statistical methods would be a blow for clarity. Both 1, 2, 3, and 4 in their graphic above, are quite reminiscent of classic biofeedback attributes, though the highlighted phrases emphasize the importance of "focusing on positive emotions" for obtaining results. The need (#3) to "achieve points and earn awards" is typically cultural: earning medals in the Olympics of HeartMath, may have little to do with being centered in self, nor contributing to World Peace. Nevertheless, keeping track of everyone's accomplishments, may eventually be useful for HeartMath in identifying individuals to pursue for inclusion in their Global Coherence Initiative. I looked for but could not find any data leading to these presented results. I was particularly interested in how "listening ability" was quantified and controlled in this study, as well as how "inspiration" was being measured. The above image is also interesting in that on the right, results of practice are presented, yet on the left, one does not see a person connected to a HeartMath device, but instead, in a posture suggestive of Mindfulness Meditation. Results to Date : One must mostly rely on HeartMath's self-published reports and those in the literature. Here is a sampling to peruse of the 7 articles returned by a PubMed search for McCraty, Rollin as Author, the majority published in Global Advances in Health & Medicine. "Global Advances in Health and Medicine was founded in 2011. Its mission is to create a global multimedia communications platform that catalyzes whole person and whole systems care and healing. In 2014 it named two new co-editors." Biofield Physiology: A Framework for an Emerging Discipline - Richard Hammerschlag, PhD; Michael Levin, PhD; Rollin McCraty, PhD, et al., 2015. Intuitive Intelligence, Self-regulation, and Lifting Consciousness - R. McCraty, Ph.D and Maria Zayas, Ed.D, 2014. A Healthy Heart Is Not A Metronome - Fred Shaffer, Rollin McCraty, Christopher L. Zerr, Sept 2014. Other literature, such as the book "The HeartMath Solution" by Doc Childre and Howard Martin provide an introduction to and explanation of "heart intelligence," and the evolution from there into "social heart intelligence." It includes exercises (for example, "Freeze Frame"), aimed at teaching the methods for "focusing on positive emotions." Effect Size : At a personal level, techniques of biofeedback, paired or not to a variety of psychologic interventions, have been proven useful in several clinical settings, perhaps first in hypertension research. At the individual level, as McCraty says : "What we are really teaching is techniques for how you can shift into that coherent state in the moment that you are having a challenging situation." Getting stressed in a traffic jam is an example frequently relied upon to explain. The "effect size," increases importantly if the hypothesized social and global effects were to become evident. Individual vs Global Effects Observed : (see "Effect Size" above). Perhaps out of enthusiasm for the goal, effects are at times presented as already achieved, when they remain in the realm of unproven hypothesis (see video presentation by Rollin McCraty below). Interpretation : HeartMath widely reports positive effects for their stress management devices and softwares. Their Global Coherence Initiative is still in development and will rely heavily on a network of magnetometers to measure effectiveness of a group of "coherence" practitioners, varying in number from 10,000 to 350,000. Here they are building and installing their magnetometers in South Africa. "Executive Summary: The HeartMath system of stress reduction techniques and heart rhythm monitoring technology has been tested in multiple settings around the world since 1992. Unlike other approaches to stress reduction, HeartMath's scientifically validated programs build on breakthrough research into the critical heart-brain communication system, teaching users how to optimize the very physiological processes that underpin health, well-being and high performance, or undermine them. This document highlights key health outcomes on patient as well as workplace populations. (from the item linked to below). Blood Pressure Reduction: the treatment group exhibited a mean adjusted reduction of 10.6 mm Hg in systolic BP and of 6.3 mm Hg in diastolic BP. The treatment group also demonstrated improvements in emotional health, stress symptoms, depression, and global psychological distress, and saw significant increases in peacefulness and positive outlook. Congestive Heart Failure: Significant improvements (p<0.05) were noted in perceived stress, emotional distress, 6-minute walk (14% improvement in functional capacity), and depression, and positive trends were noted in each of the other psychosocial measures. Diabetes: Participants experienced significant reductions in psychological symptomatology and negative emotions, including anxiety, depression, anger and distress, following the intervention. Significant increases in peacefulness, social support and vitality were also measured, as well as reductions in somatization, sleeplessness and fatigue. Participants showed reduced sensitivity to daily life stressors, and quality of life significantly improved. Regression analysis revealed a significant relationship between self-reported practice of the techniques learned in the program and the change in HbA1c levels in patients with Type 2 diabetes. Practice of the HeartMath techniques resulted in 1% reduction in HbA1c. Stress and Workplace Well-Being: A study at a global manufacturing company showed that contentment, job satisfaction and communication significantly increased, while tension, anxiety, nervousness and physical symptoms of stress significantly decreased. Blood pressure in hypertensive individuals decreased, and there was reduction in sympathetic nervous activity. 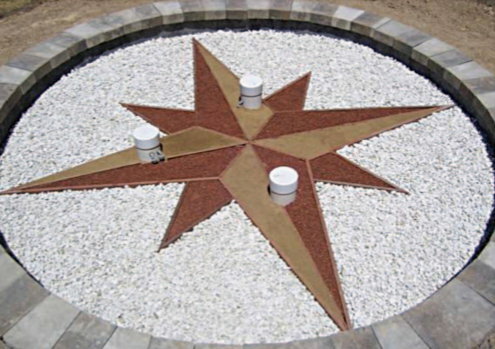 Quality improvements – reduction in defects -- were noted among factory workers. Stress and Health Risk Reduction in Correctional Officers: Employees in the experimental group demonstrated significant reductions in stress and health risk factors, as well as significant improvements in work-related parameters. Physiological changes in the experimental group included significant reductions in total cholesterol, LDL cholesterol levels, the total cholesterol/HDL ratio, fasting glucose levels, mean heart rate, and systolic and diastolic blood pressure. Psychological changes included significant reductions in overall psychological distress, anger, fatigue, hostility, interpersonal sensitivity, speed and impatience, and global Type A behavior, and increases in gratitude and positive outlook. There were also improvements in key organizationally relevant measures, including significant increases in productivity, motivation, goal clarity, and perceived manager support. The reduction in health risk factors achieved in this study are projected to lead to reductions in both health care and absentee costs, yielding a total projected annual cost savings of $699 per employee. from previous disclaimers that HeartMath, its devices, literature, and techniques : "are not intended to diagnose or treat any medical illness or health problem or condition of a serious nature, for which you should seek evaluation by a qualified medical practitioner." Now, hypertension, diabetes, congestive heart failure, hypercholesterolemia, and others noted above, are fair game. The presentation also presents all the major companies and services currently using HeartMath technology and consulting. External Reactions to This Investigation : Taken as one example of a growing idea, here is the information on HeartMath's "Healthcare Impact" Benelux, showing how HeartMath proceeds into international markets. 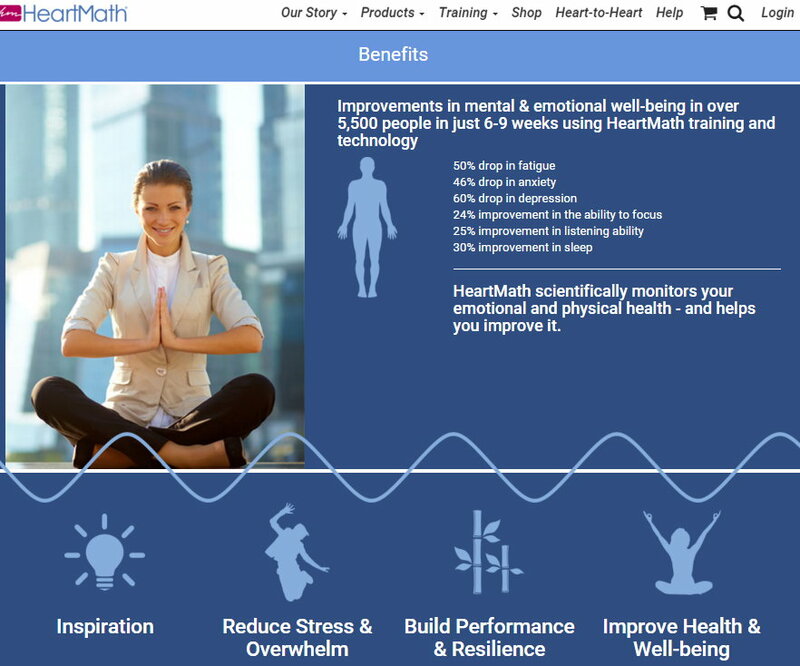 The pitch, "The Impact of HeartMath’s Stress Reduction Programs and Technology on Health Outcomes across Diverse Populations," is essentially that employers of all size should use HeartMath's proven scientific techniques to put in place stress reduction practices for their employees/ staffs. Again, this document shows how their marketing has evolved from the days of the warning in "Important Note for the Reader" at the start of "The Heartmath Solution," which includes : "The ideas, suggestions, and techniques in this book should not be used in place of sound medical therapies and recommendations." It is evident that the ideas, devices and specific techniques are being marketed internationally at a fast and furious pace, independent of "sound recommendations." "Focuses on the latest products and consumers' growing demand for high-tech health services. See solutions for diagnosing, monitoring and treating a variety of illnesses - from obesity to ADHD, from poor vision to high blood pressure." "Supporting HeartMath in breaking ground in the mobile market, Catherine led the launch of HeartMath’s first digital health app, Inner Balance and the HeartMath Sensor for iOS. She also has been instrumental in HeartMath’s partnership with the Huffington Post working with Arianna Huffington and her team to bring HeartMath’s award-winning HRV/heart rhythm feedback technology to the recent GPS for the Soul app which was just announced by Huffington Post, HeartMath and bLife. As a key spokesperson for HeartMath, Catherine has hosted and co-hosted numerous webinars including co-hosting with Peter Diamandis on the topic of creating Abundance and with author Chip Conley discussing the parallels between math and life. Catherine has also conducted countless broadcast and print interviews for HeartMath at the highly anticipated Consumer Electronics Show and Pepcom events, and on behalf of GPS for the Soul at the Republican National Convention and Democratic National Convention. Possessing a dedicated passion for making a difference in the world, Catherine delivered several innovative programs to a wide range of HeartMath clients which include hospitals, health professionals and corporations resulting in improved health and reduced health care costs." What can one extract from this? Ms. Calarco, Chief Marketing Officer, enthusiastically explaining how "You can change your emotional response to stress," and that "internal coherence leads to external coherence in one's life." "Over 18 years of research and 80 papers on this, and case studies across major large organizations and hospitals." Another little pick at those "who meditate or yoga,... but how are you going to know when you're there? This device tells you when you're there." (Of course, when you do these practices correctly, you know "when you are there." For free). If one sticks to the science of this practice, not all external reports have documented as much effectiveness as the HeartMath team's enthusiastic comments might suggest. All seems at times increasingly blended into a "coherence" soup. Part of the usual scientific process of validation includes testing if results of an investigation can be duplicated one or more times over time in other laboratories. In other explorations of validity, application to treatments through combined modalities is often investigated. Here for instance, a pilot study that looks at Mindfulness Meditation and HeartMath techniques, in chronic musculoskeletal pain and healthy subjects, found no significant improvement in Mindfulness, after Heart Coherence Training. Of course, more important than the negative result in this case, is the fact that others are now turning an eye towards HeartMath's results, besides HeartMath. As far as I know, its author (Scott Anderson) doesn't have an axe to grind, but simply find's a list of certain key negatives weighing-in overall. "And it looks like I’m not the only one. It looks like the US Navy is also “getting the coherence advantage” and that there’s an entire site dedicated to HeartMath for veterans and the military urging them to “apply for scholarships”. There are HeartMath training programs for teachers and managers ($3500 for a four-day workshop), for police, firemen, and first responders ($3699 for a four day workshop) and for doctors and clinicians ($1495 for an “interactive webinar”). There are HeartMath programs aimed at classrooms, including Early Heart Smarts Pre-K training ($179) and HeartMath Test Prep, $49 and apparently funded by a grant from the Department of Education. In case your classroom can’t afford these products, the Institute of HeartMath offers help filling out grant applications." Another opinion from someone who worked briefly at HeartMath, in response to the request: "Is Heartmath’s emWave Personal Stress Reliever Scientific?" "I talked with my colleague [at HeartMath] after the presentation and pointed out to him that the research at HeartMath appeared to have the tail wagging the dog, which is to say that they were not doing research to see what the result was, they were starting with a result and trying to conduct research to prove the result they already believed in, which is that the heart is an organ that has powers beyond anything we can measure with modern technology." Don't ask Science. Let's ask the public (afterall, they're the buyer). It doesn't make sense to ask mainstream medical science to review HeartMath devices and techniques. Afterall, various representatives of HeartMath have more than once placed their efforts in the realm of Alternative Medicine, and more than one representative has made disparaging comments towards the other kingdom. Their style of hypothesis testing may be perfectly adequate for John Q. Public. Flipping coins in the public fountain. Heads or Tails? Or, anecdote is not data. Why would someone feel the need to check on his own, if a HeartMath device "works or not"? Perhaps because the answers obtained from HeartMath were not clear and satisfying? OK. In spite of the gratuitous obscenities, this John Q. Public set up a protocol and gathered data on his personal HeartMath device use. Bravo! The data are clearly presented. A problem exists in this man's "lab" which would complicate drawing conclusions... "What is that?" No data analysis. Just an eyeball flyover, and a whole collection of stated conclusions, as though more than hypotheses. As though eyeballing the data answers: "How would you know?" Notice that this study subject ("homie Drew" who lives in NYNY) presents conclusions, before doing any data analysis. Perhaps a scientific style learned from his contact with HeartMath materials? W.Ed.Deming would have asked him: "By what method?" and "How would you know?" But since he presents some data, let's analyze it for him! This will be done in another article on his emWave2 device from HeartMath (the present article is already much too long). But just how much do we need to analyze of his collection of gathered measurements? This presentation is long (and rambling), lasting over 1.5 hours. I have included a few notes below this video, extracted as I watched it. The video quality is poor (shot by an audience member I presume), but the speaker's constant hand gestures and pacing back and forth doesn't help in focusing one's attention. The graphics disappear at times due to bad lighting. This is not the speaker's fault. Nevertheless, watching at least a part of the video is encouraged, to get a sense of the speaker, his relational style to his audience, and mastery of his subject. Those are best assessed individually, by you the viewer. Recall that the theme here is "coherence," and approaching one's world from "the incredible power of the heart." 2015-11-17 FF Rollin McCraty from Sergio Lub on Vimeo. Dr. McCraty's bias comes through quickly enough, with comments about what MD's did or didn't or should have learned, or equivalent. Nevertheless, he surrounds what he is saying with all the terms developed by Medical Anatomists, Medical Physiologists, and the Science of Medicine, which he probably did not learn at Motorola. This he sometimes summarizes (not in this video) as "While the brain has incredible functions, it is clear that only scientific knowledge of both the heart and mind will set us free from the limitations of our past knowledge." Hard to put a finger on it, but what seems missing is the driver for accruing knowledge in one's field. A driver that creates true passion. A driver like, bearing full responsibility for a patient's care. Yes, I think that's a strong motivator for increasing one's knowledge. Perhaps that's unrelated here, so let's move on. He states: "I'm a psychophysiologist, that's my background." He could have added that "psychophysiology" has been his work since leaving Motorola and giving up his $20 million dollar business selling spirulina in the 1980's, to better present himself to the audience, but didn't. 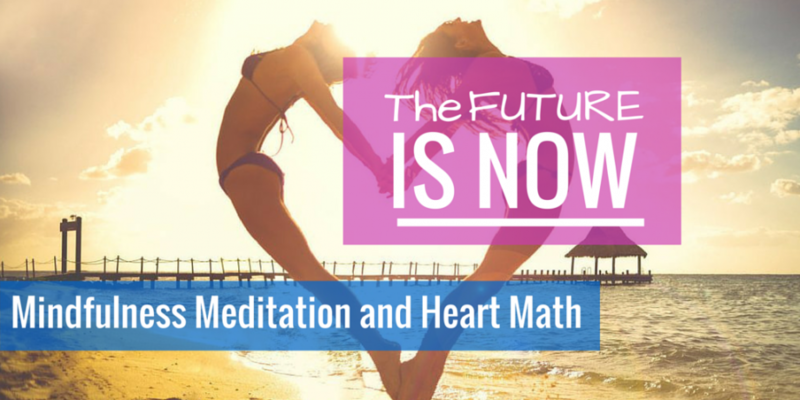 "HeartMath is a about self-regulating in the heat of the moment." But apparently HMI would like it to be about a lot more. When speaking of Morse code he pronounces it as if it were spelled "Morris code," (a not too salient observation, just one of those little bothersome things for the listener at a presentation, like when the presenter has a nasolabial tic, keeps dropping his pointer, clears his throat at the end of every phrase, or says 'needless to say' over and over again). He ignores what the questioner says. He gives the impression of using certain words without understanding their true meaning. He often adds "to put it simply," but one does not get a sense that he could go very far beyond what was in fact "simply" said. He frequently explains his graphic material terribly. "No IRB's (Institutional Review Board) needed if one uses one's son and his dog as research subjects." (No comment needed). Again, he did not answer two more questions, saying their wasn't time, or it wasn't related to his subject. In discussing Schumann Resonances, he did answer a question: "Do these frequencies change?" He replied that the Schuman Frequencies "are not changing at all, and haven't since they were discovered," which is wrong. "Changes in geomagnetic conditions is what most affects the rhythm of the heart (HRV)." "If you're going to do research around this stuff, you've got to measure things." (sounds very astute). "We are putting in The Global Coherence Monitoring System - ultrasensitive magnetometers. Now there are 6, soon to be 7. " At 1h:31:10 in the video, a person in the audience asked him (after he presented a concept as a new discovery, or result, or clear proof), "did the data show that?" and his answer was, "... we're heading there. We're working on it. And we can talk about this after the presentation." And further, where he was shedding heat but not light : "I am not showing you the data that I'll be presenting in Mexico, but I'm a little more confident in what I'm saying than what I'm showing you." In reponse to a question about "how big this subject is..." "Yes, it's what I'm suggesting here, but I'm trying to keep a little bit of a science hat on." [A normal response after presenting hypotheses that have been tested is to show results/ data. But here, I was reminded of the story of the Emperor's New Clothes. Anyone who can't see the clothes from curves on a graph must be crazy, ignorant, (or an innocent child, yelling "the Emperor is naked!")]. He ended his presentation, not by opening to questions, but with a commercial for HMI's weekend in December 2015 in TAO, MEXICO. In response to the question, "How much does it cost?" "$1,195.00 for the event, and, we're out of rooms, so you'll have to find your own room and the total will cost you about $2,000, plus plane fare." The HMI brochure for this "Special Event." The brochure is educational as well. It is 4 pages. It is a MUST READ! I strongly suggest as you read it, making a list of all those words used in the brochure that you hear more and more frequently, but that currently mean absolutely nothing to you. (Get 2 pencils, 2 sheets of paper to do this). So, what does SendThemPeace.com think about the work at Lab Bench #3 ? The presentation offered above by Dr. McCraty seems anything but coherent (taken in the usual sense of that word), and certainly not conveying a sense of coming from the heart, in spite of his voiced heart expertise. Beyond that, it will be extremely interesting to see over time, how effectively this Quantum Intech/ HeartMath/ GCI product contributes to the goal of meeting The Challenge of Send(ing)ThemPeace, here at SendThemPeace.com . as Dr. McCraty said in his presentation: "If you're going to do research around this stuff, you've got to measure things." So what goes into the recipe for their pudding? Without repeating everything that has been written above, it looks like one could summarize that if you don't use science, or the look of science, products won't sell as well as they might, if at all. But what is the "around this stuff" that is being investigated? Is it really personal and global health, consciousness and spirituality, or are many of the words that they use, (and that are used as well on our site), like "compassion," actually filled with a quantum void: A dark hole of anti-matter that eats everything that comes near it? In this vein, and as LaoTzu wrote : "True words are paradoxical." To see if they are succeeding, they will be measuring field fluxes from their network of magnetometers (at right is the top of one (or maybe just the top of some PVC pipes) at the home of HeartMath in California. 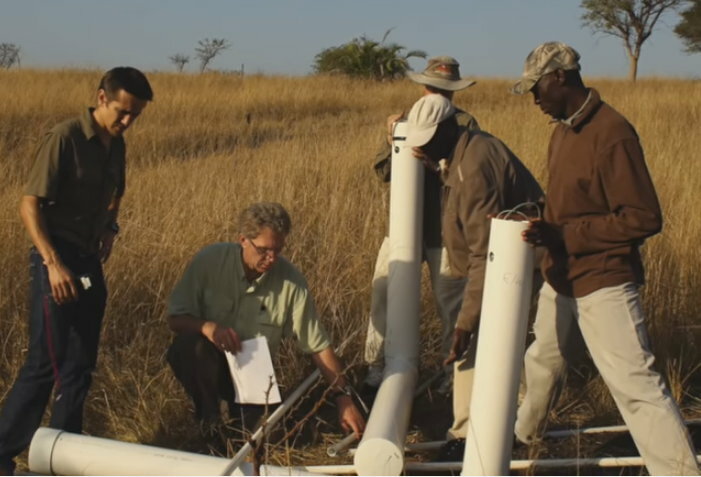 This video shows Dr. McCarty and others, installing one of their magnetometer sites, this one in South Africa. Changes in how people influence the world's geomagnetic field, and how that field effects the people, will be followed and (who knows) perhaps presented. I cannot say enough how grateful and appreciative SendThemPeace.com will be to learn that this method is bringing Peace to our World. But is this effort to obtain these measurements and sell their products primarily aimed at bringing "Global Coherence," however they chose to define it? Or is there along the path to that stellar accomplishment, some other agenda, which is in fact principle? Clearly, their behavior suggests a belief that you can't have one without the other. We will certainly add updates here in the STP Virtual Lab as their effort continues to display itself and spread. We will joyfully celebrate when this protocol adds to world Peace. When I think of their journey from beginnings to present state, as I have collected and traced here, I am sure that the initial dissatisfaction with Medicine's approach to their health problems at critical times, and leading to a "looking elsewhere" in Alternative Medicine that they mention in interviews and presentations, has had a key influence. They are not alone. And the lesson is not for them, but for allopathic Medicine. Why are people going elsewhere? Is it of course, because Medicine has lost the thread? The thin, fragile, breakable link to the purpose that makes people chose Medicine as a vocation? A distancing from the goal, and which is, simply : Relieve suffering; heal the sick where possible. Will HeartMath survive their marketing and take-over by business? Unquestionably, Medicine did not. Clearly, their initial work to relieve psychological suffering (anxiety, depression, "stress," in children and adults) fits this goal. Will the same founding team and apparent purpose, survive that goal's marketing? We'll have to wait and see. The process of sending Peace and Compassion at a distance through The Challenge, is not averse to data gathering and analysis. But at present, the methodology that has evolved, seems couched in a more spiritual, some have said "conscious," space, than in a purely material world. It just seems that way so far. And sinking PVC pipe magnetometers into the ground is obviously, 100% in the material world. That's OK if, as said above, it contributes to Peace. 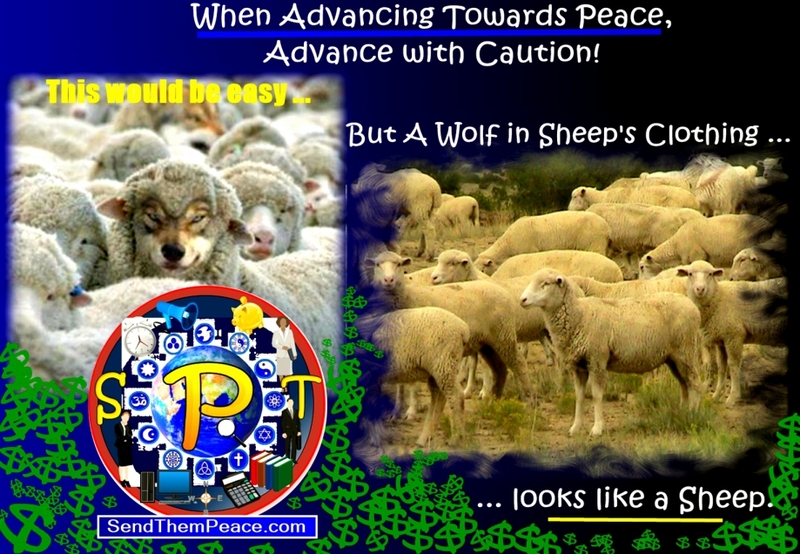 What sort of measurements would we use at SendThemPeace.com to define whether or not our sending compassionate action at a distance to selected targets ... is "working" or not? Well, we might look around our World. And when pictures like the one below, showing the myriad effects of violence, corruption and war, have disappeared from the media, we may look up gratefully with a smile and say: "it's working." 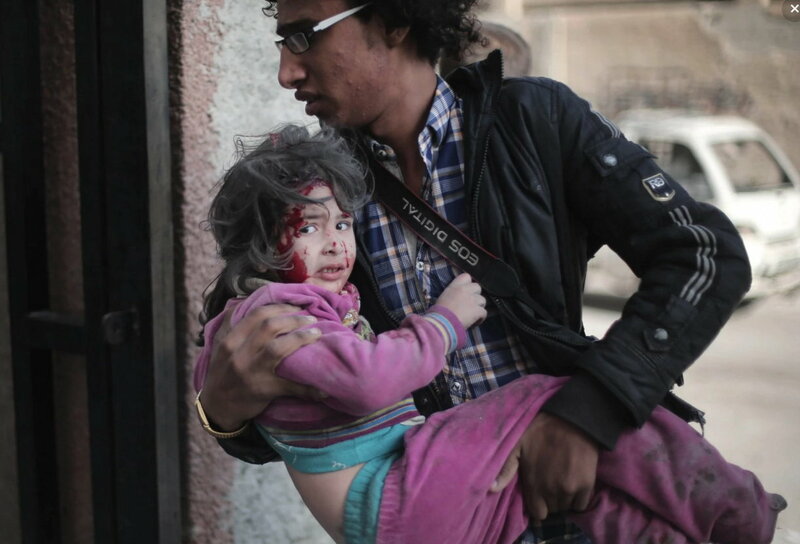 Everyone in her family was killed but her, as "Allied Forces" bombed Syria. Here a neighbor carries her from the rubble that used to be her home. When this picture can no longer be taken, we'll slow up just a bit at SendThemPeace.com.